The new Flagami Trolley Route is now open for service. 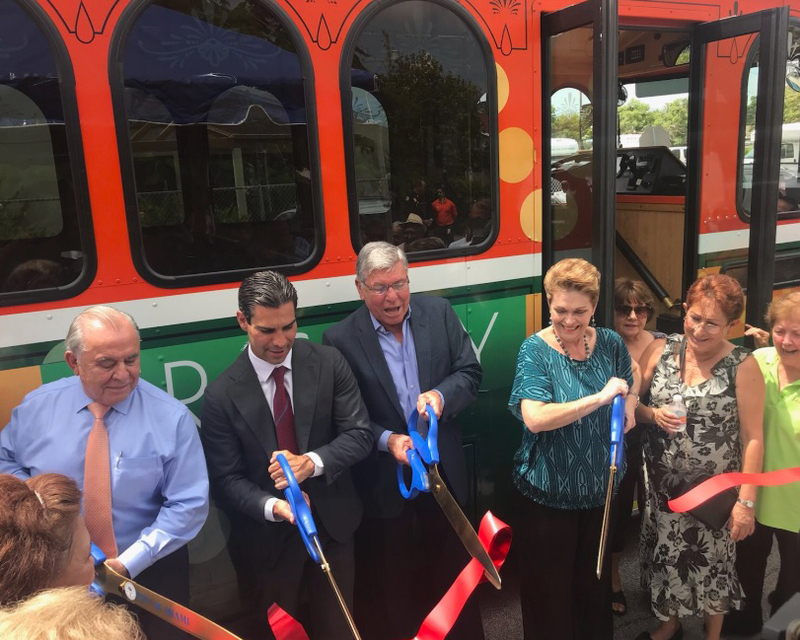 City officials gathered Monday for a ribbon-cutting ceremony to mark the official start of the new free trolley route. On hand were City of Miami Mayor Francis Suarez and Commissioners Manolo Reyes and Wifredo “Willy” Gort. Miami-Dade County Commissioner Rebeca Sosa also took part. City commissioners gave a green light to the new route June 14. The new Flagami Trolley Route will have five new trolleys operating six days a week with service connecting major arteries such as Southwest Eighth Street and West Flagler Street, to the existing Little Havana Trolley Route and other nearby neighborhoods. The new route will have a direct link to regional transportation at the Miami Intermodal Center (MIC), next to Miami International Airport. The MIC provides connectivity with various Miami-Dade County Metrobus routes, Metrorail, Tri-Rail, Amtrak, Greyhound bus service, and more.